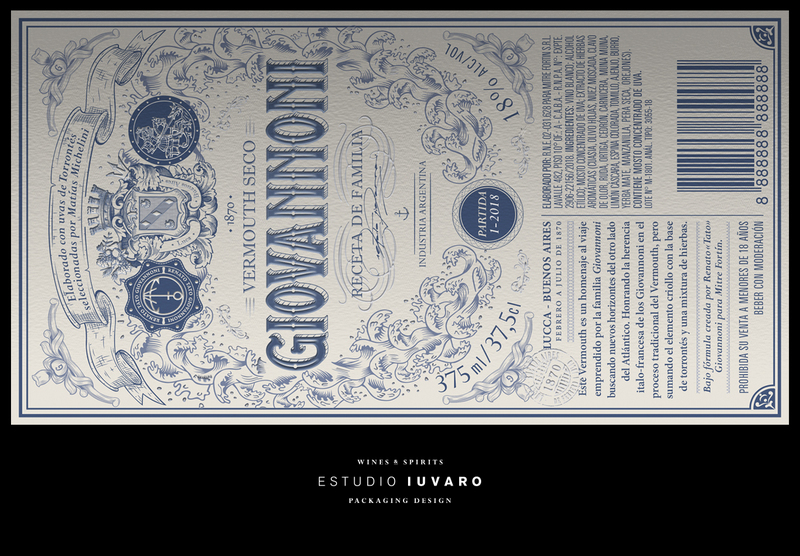 We designed the label for this vermouth inspired by the journey made by Giovannoni's family across the Atlantic Ocean, from Italy to Argentina. We represented the adventurous spirit & the italian-french tradition of this family recipe. 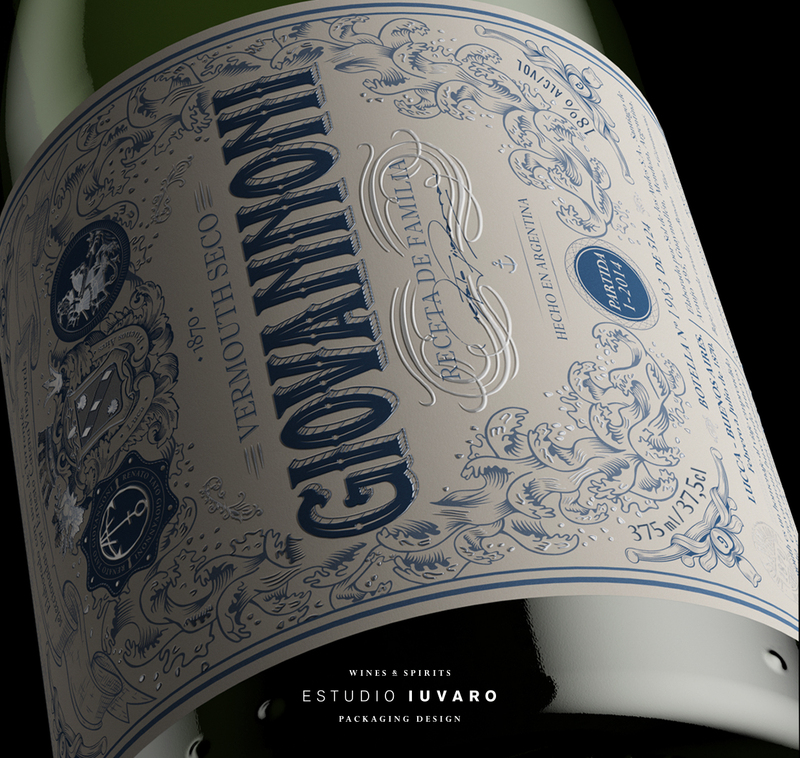 The vintage look of the label has many details representing the sea travels made by the family. 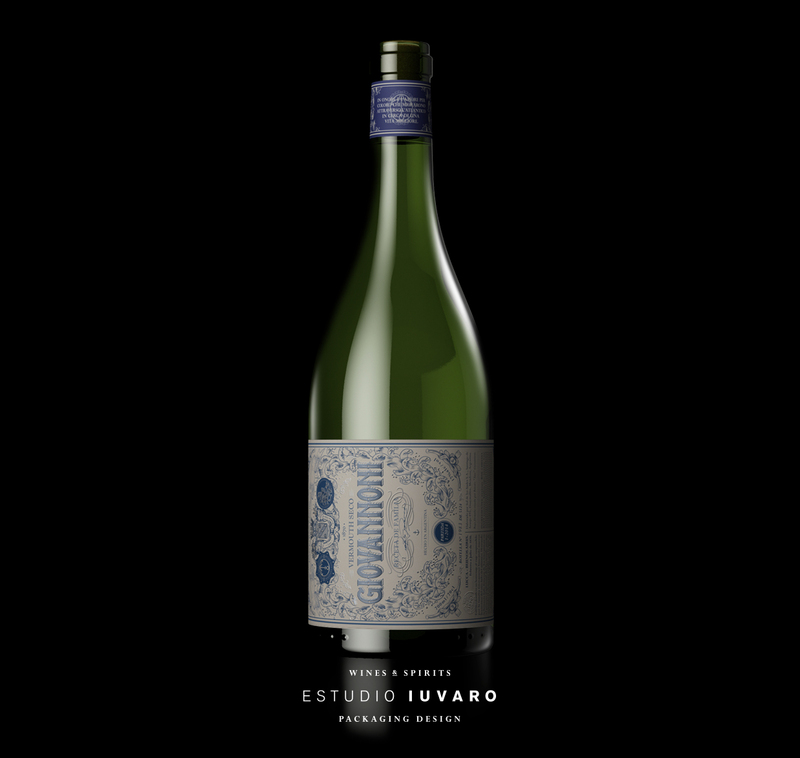 The ornaments surrounding the typographic composition, are waves with a "Hokusai" look. 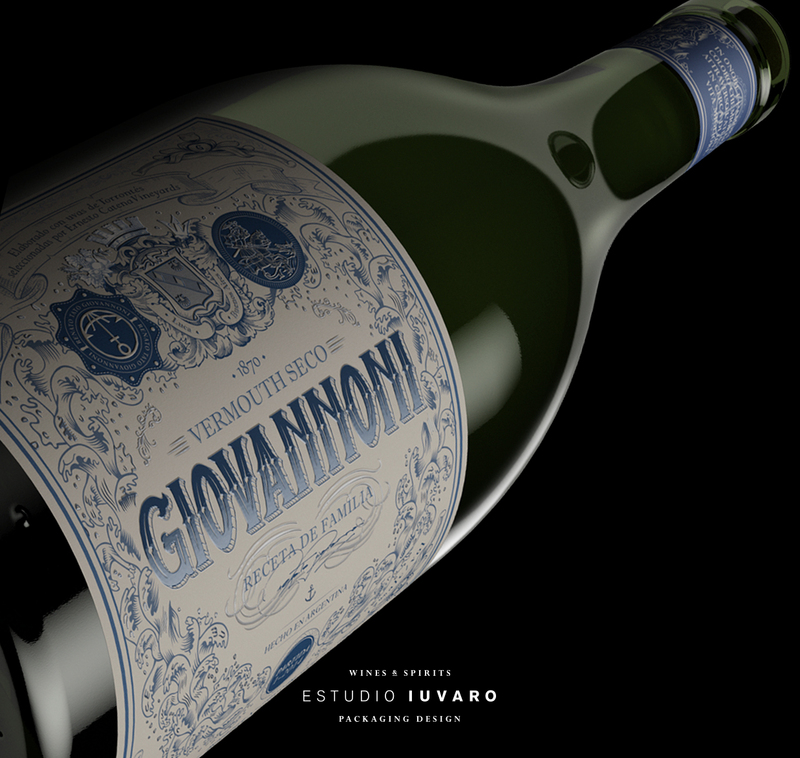 The look of "more is better" in this design allows to make it recognizable among the competition. 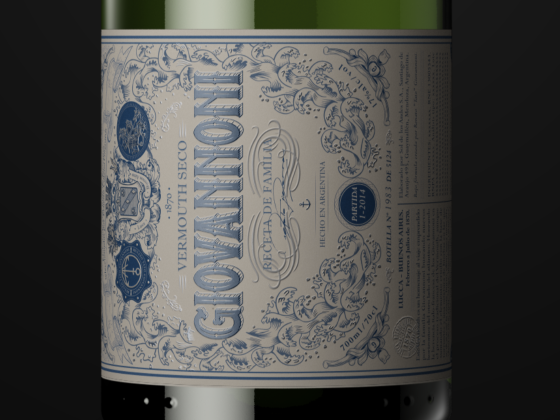 Besides the horizontal disposition of the label makes it stand out.